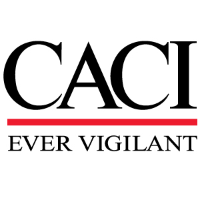 CACI is hiring a .NET/JAVA Developer in support of the Department of State. The software engineer will be part of a group that provide enterprise software applications, infrastructure, data architecture, cloud services and business intelligence to the enterprise. You have a passion for design, new technologies, and building high-quality web systems. Design, development and implementation for enterprise applications. Provide necessary documentation including Design Documents, SOPs, etc. Prioritizing and managing multiple projects and deliverables. Evaluate emerging technologies to determine advantages and disadvantages of potential solutions in virtual, web-based, and desktop applications. Experience with .NET, MVC, Webform, and Entity Framework. Ability to learn new functional areas quickly. Ability to debug / trace code and resolve issues quickly. Experience with software tracking tools (JIRA). Experience with Agile and Waterfall software development methodologies. Experience working in a DevOps environment.